We have weekly FOG (FAMILY of God) meetings on Tuesday night at 7:00pm. We will be hearing the word, singing, and having discussion time. Many of us received revelation and food from sharing, hearing a spoken word on a topic of interest. Now it's time to "chew" a little bit more on the Word and the fellowship. No worries if you didn't attend previous meetings, you will LOVE the fellowship and discussion time that we will have together. Down below is the schedule and the link! Zoom will open at 6:30pm for those who want to come early and fellowship with others and/or to test out zoom. 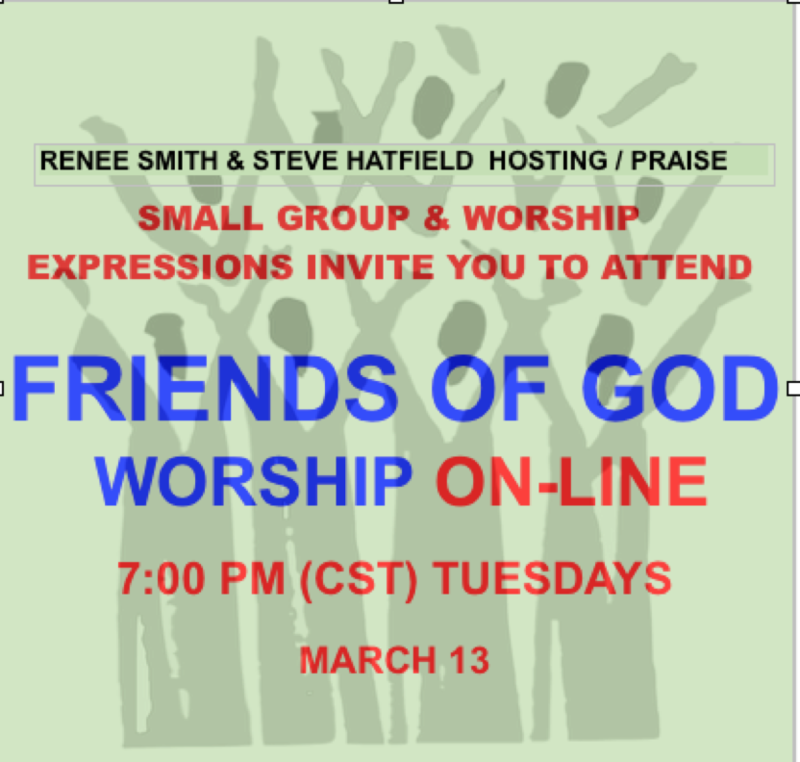 If you have questions contact Renee Smith (Small Group Expression Coordinator) 785-760-4912. Special presentations may be added to the above sessions.